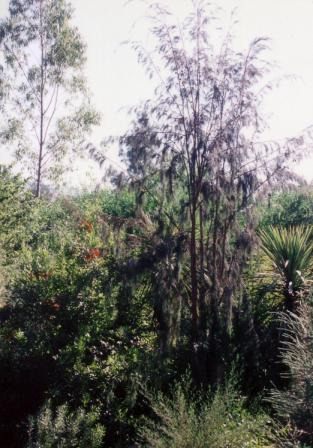 Ornamental, slender, upright, medium sized tree with thick, corky bark and large flat topped seed pods. Handsome weeping tree for home gardens and parks. Suitable to most soils and situations. Fast growing and tolerant of moderate frosts. Interesting seed pods. Seed propagates readily. The wood is used for furniture and baseboards & cupboards in Australia - very attractive grain. Propagation Information: Seed germinates easily without prior treatments. Lightly cover seed after sowing and drench with a fungicide to prevent "Damping Off".